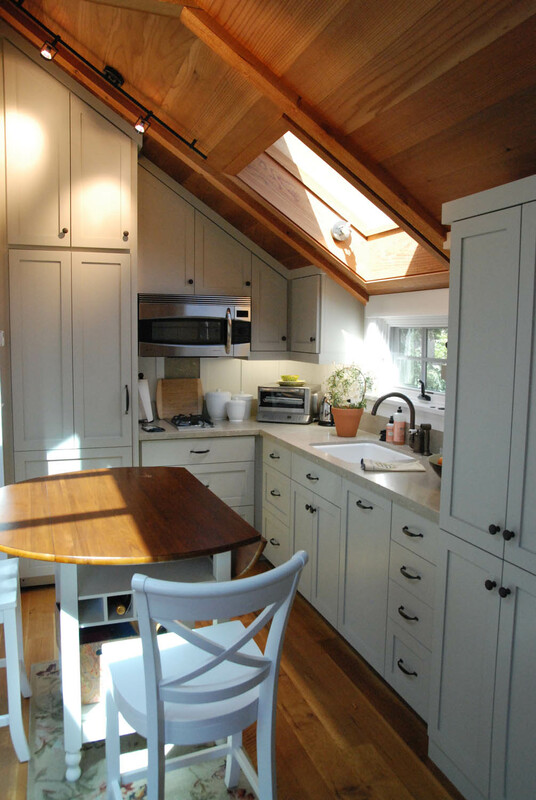 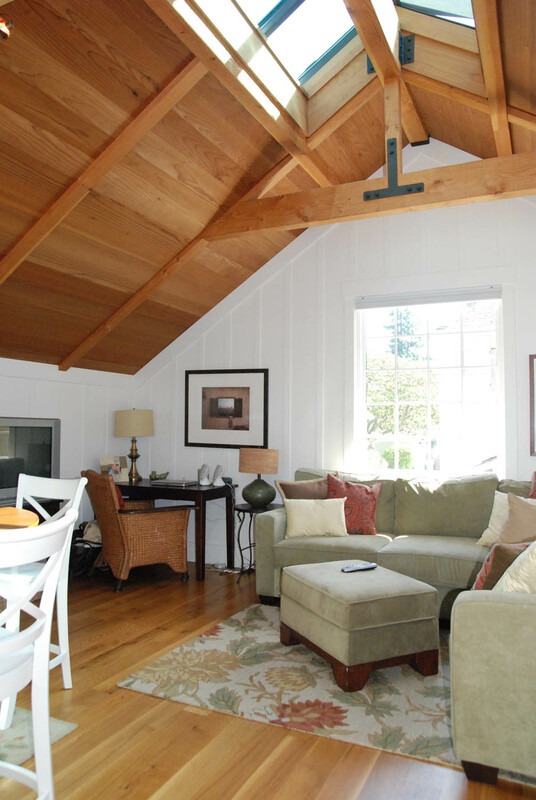 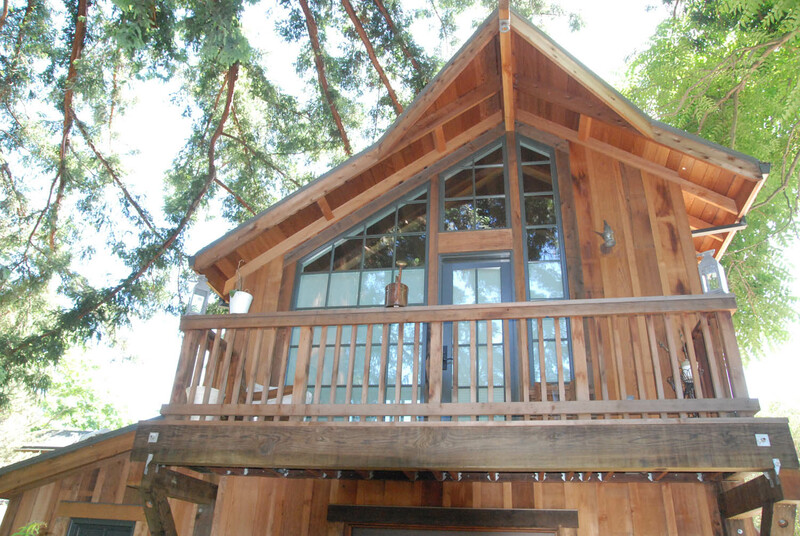 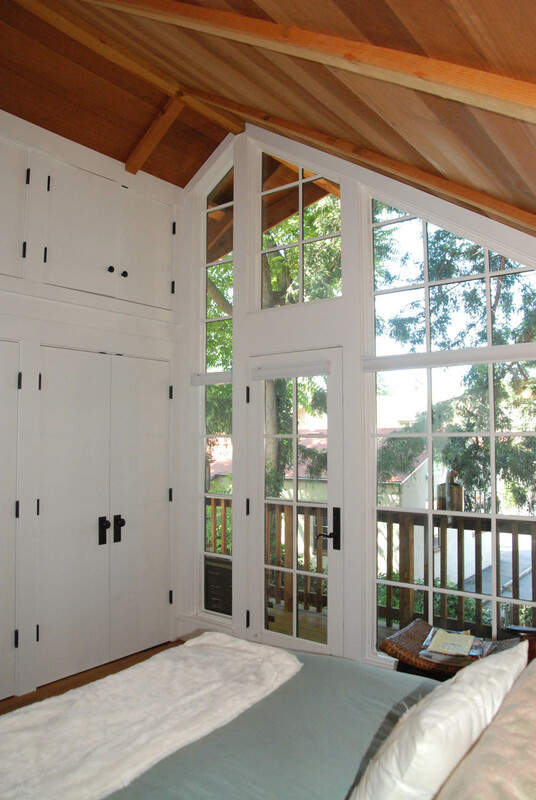 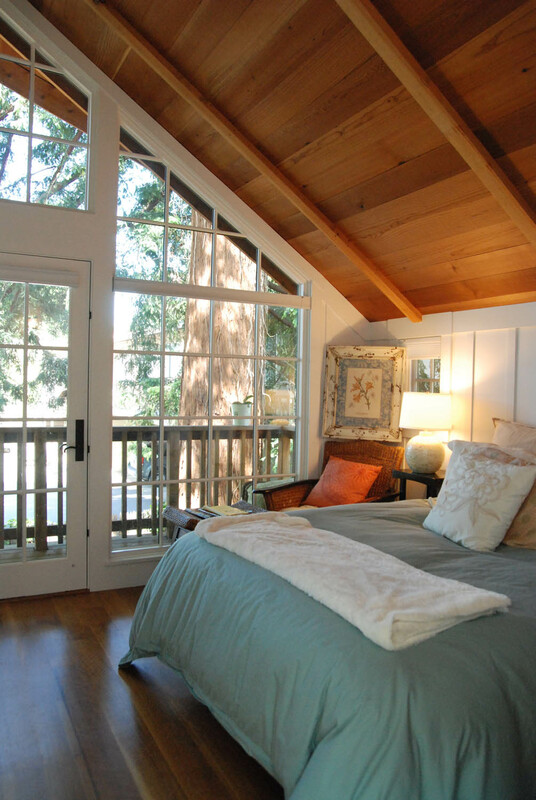 The love of old California barns created this charming detached second residence. 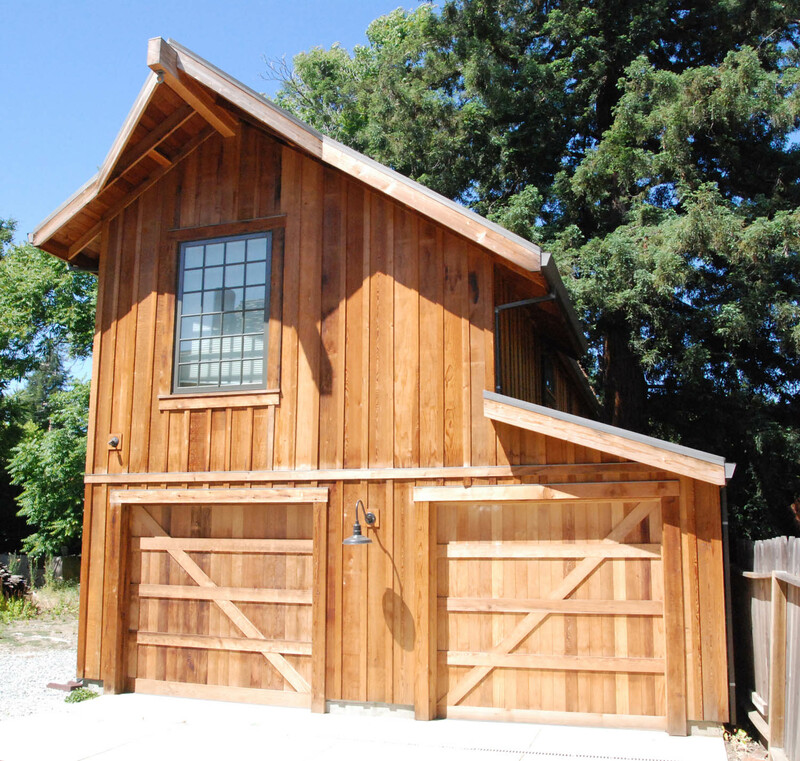 Authentic detailing included redwood board and batten siding, rusting metal roof and birdsmouth gable ends with working block and tackle. 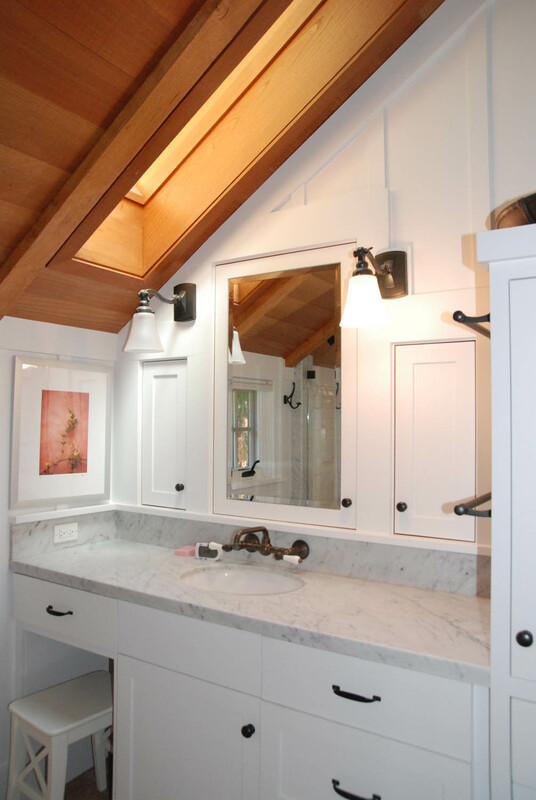 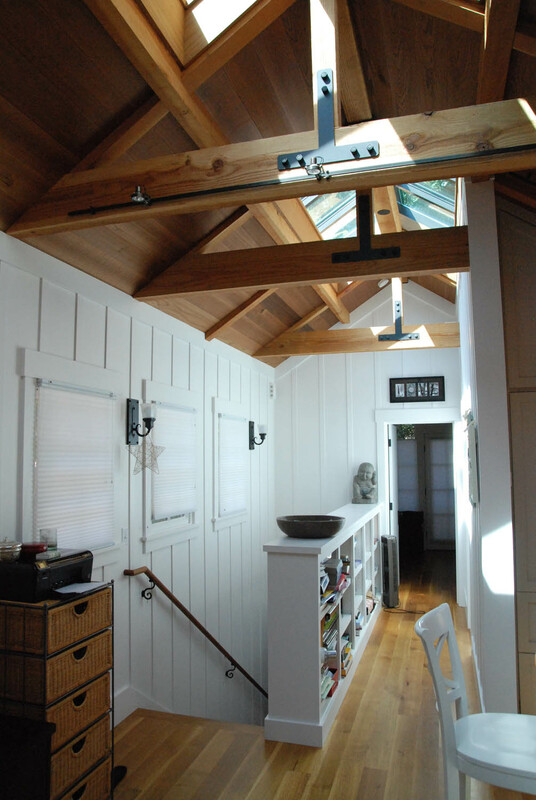 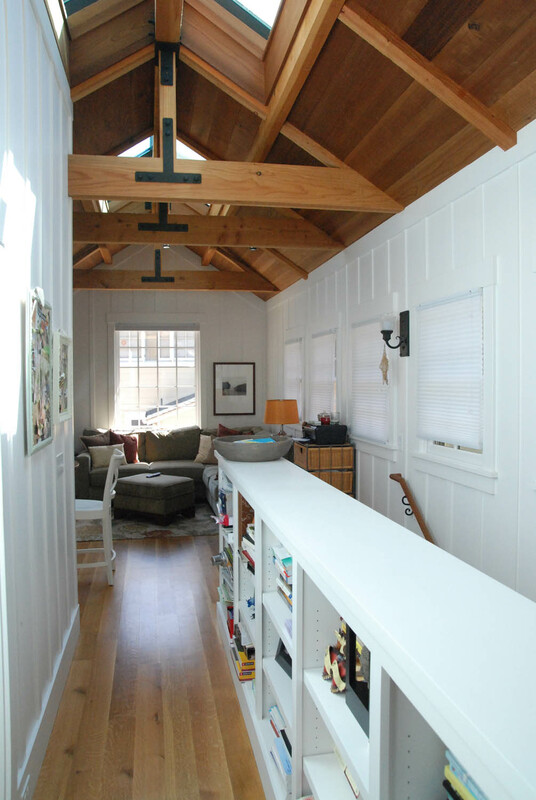 A spacious, light-filled interior was achieved with large cross beams with decorative collar ties, skylights and painted wood batten walls.